Anyone looking to copy a SharePoint list to any SharePoint version or Office 365 is obviously looking for the most straightforward approach in doing so and there are a two ways to accomplish exactly that. The most basic, and somewhat dirty, way of copying a list over would consist of exporting your list as a template that includes your content. You can accomplish this by going into your list’s settings page and clicking on “Save list as Template”. Since the whole point of this exercise is to copy your SharePoint list to Office 365, it’s obviously important to check off the “Include Content” option so that when you re-create your list in Office 365, its content follows as well. This will save your list’s structure and content as a template in your SharePoint list template gallery, which is exactly the page you’ll need to access to be able to download a copy of your list to your hard drive so that it can be used to copy your list to Office 365. You can save it by clicking on the Download a Copy button: this will generate a .stp file containing both your list’s structure and content. 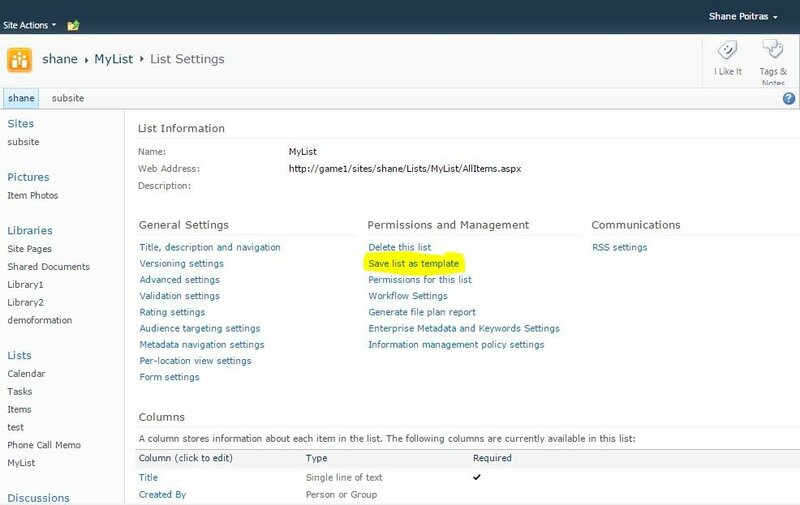 What you’ll want to do next is upload the template you just generated to your Office 365 list template gallery which can be accessed under “List Templates” on your Site Settings page. This will allow you to create a list based off of the template when clicking on “add an app” on your Site Contents page (you should see a list icon with the title you’ve given your template in the available apps). Creating a list based off your template this way will copy the list with its content to your Office 365 site in a very basic, dare I even say dirty way: key list elements such as authors, timestamps and permission settings are not copied to Office 365, and no regard is given to any dependencies that are included in your list (lookup columns, people picker fields, etc). This entire process will then need to be repeated for every single SharePoint list you’re looking to copy, making this a very involved, lengthy and repetitive process. To export a list the Microsoft way, click here. In Sharegate, select the Migration tab from the menu on left and then choose Copy Structure on the next screen. Connect your source environment and select the Site that contains the list you want to copy. Connect the destination environment and select the Site where you want your copy to go. 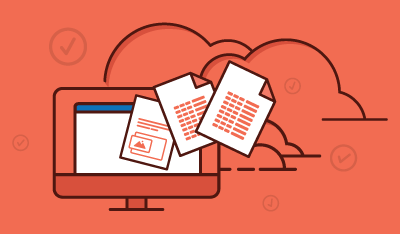 Since you’re probably looking for the best way to copy a list in SharePoint and move it to Office 365, Sharegate’s here to help! The migration tool included in the software will allow you to preserve authors, timestamps, and permissions, as well as resolve and automatically migrate any other elements your list depends on. It'll also prevent you from needlessly polluting your template gallery as well as simplify the entire process down to a few clicks: all you’ll need to do is connect to your source and destination sites and select the lists you want copied over, Sharegate will take care of the rest. Remember, Sharegate makes your life Just Damn Simple! Click Migration on Sharegate's main menu to see all the available copy options. On this screen, we will select "Copy Structure" since we want to copy a SharePoint List. We start by connecting to source environment. Click on the Connect Source button to begin. Enter the source site's address and your credentials. Sharegate will use these to connect to your source environment and return the list of Web Application, Site Collection and Subsites available. Using the Explorer, drill down and find where the list you want to copy resides. Select it and click Next to move on to step 2. The second step is very similar to the first one but this time, but this time we connect Sharegate to the destination environment and again select the destination Web Application, Site Collection or Subsite for the copy we are about to create. Click Next when you your destination is selected. Finally, on the Copy Structure screen, select Lists and Libraries from Site Objects types on the left panel. This will filter the content of the Source and Destination panel to only show Lists and Libraries. You should see the list that you want to copy appear in the Source panel. Select it and either drag and drop it into the destination or click Copy Now. Sharegate will copy the list in SharePoint or Office 365 quickly and efficiently all while preserving important metadata properties like authors, timestamps, and any others you may have set up in this particular list. Once the action is completed, the migration report will show any successes, warning, or errors it might have encountered. You can also configure advanced options when copying a list such as choosing how dependencies are handled or selecting which items are preserved during the copy such as custom permissions, list content or workflow. You can learn more about advanced copy options on our support site. How cool is that? How often have you tried copying a SharePoint list without a tool? Download Sharegate here and try it our for yourself.